‘A cappella in the Gorge’ is the season ending, annual outdoor concert of the Desert Song Festival. 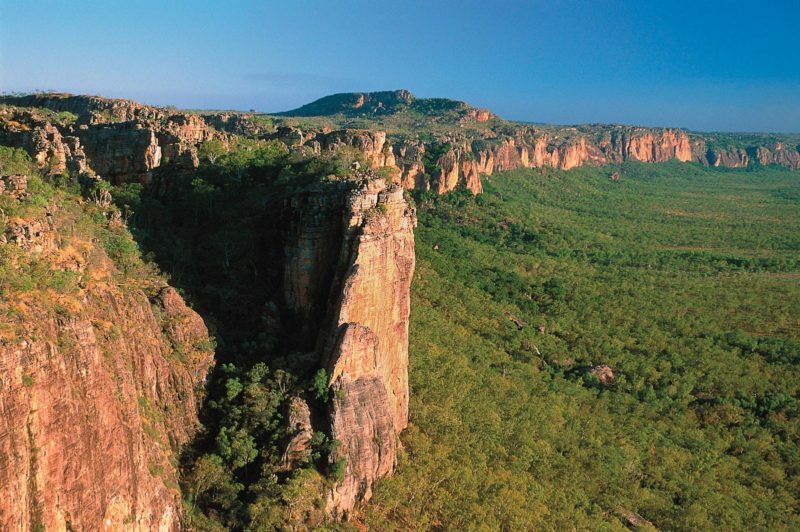 It gives visitors and locals an unforgettable experience as Ormiston Gorge, in the Tjoritja (West MacDonnell) National Park, is ignited with melody, voice and song. 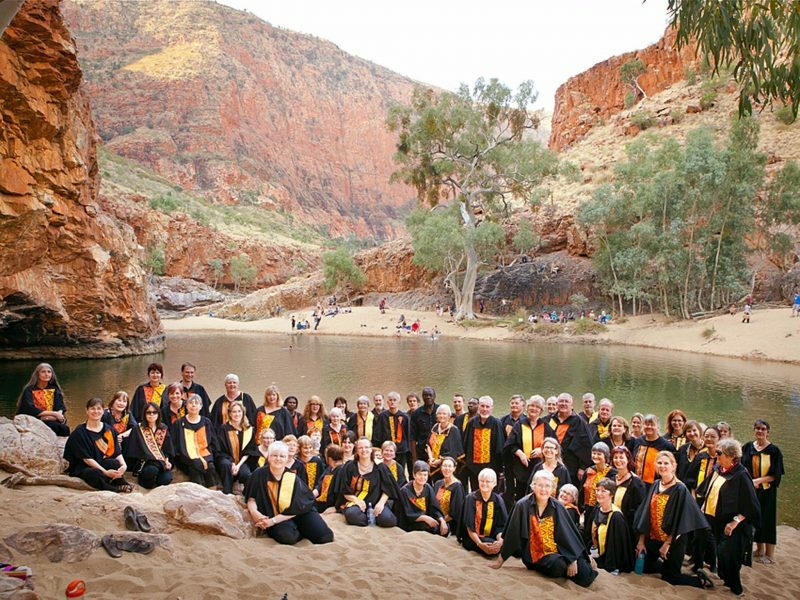 Set against this iconic and majestic Central Australian backdrop, ‘A cappella in the Gorge’ is an event not to be missed! 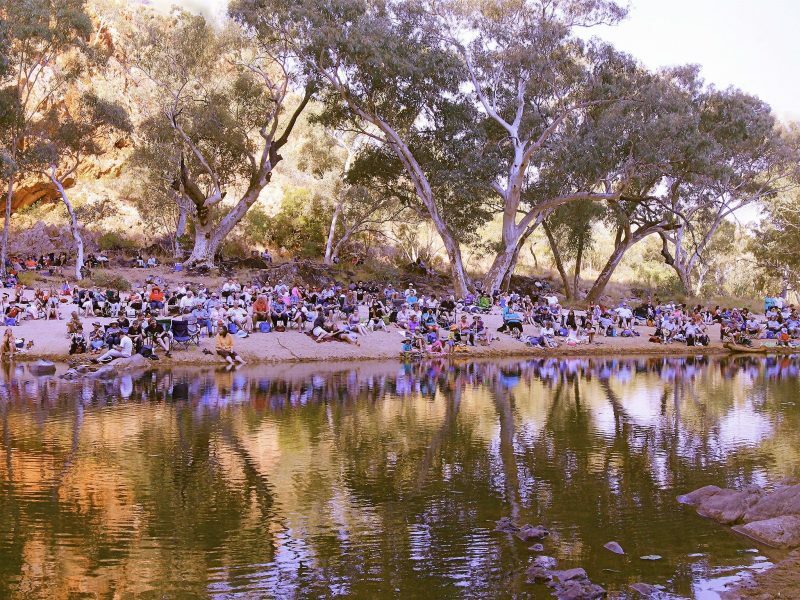 The Desert Song Festival is the annual showcase of cultural diversity and artistic brilliance in Central Australia. Over 10 glorious days (September 6- 15) a myriad of concerts, workshops and masterclasses will present choirs, musicians, small vocal ensembles and solo performers, in a celebration of; the singer, the song, the instrument, the land and its people. Ancient landscapes and iconic heritage venues in town, provide the staging throughout the festival. Through music and song, audiences will feel the extraordinary ‘connection to country’ that the custodians of this land have.